My family has a library – most books are in Russian, our native language, but there are some books in English and French. As a deaf person, I access most information via text. So I liked browsing through those books when younger. Russian books were not hard for me to read, though some were advanced for my age. However, books in English and French were impossible for me to understand as they had those mysterious Latin characters that I was trying to decipher. You may be surprised, but as a kid I thought that a spoken language was universal that all hearing people could understand – just like many hearing people think that a sign language is universal that all deaf people can understand. As I got older, I realized that just mastering the Latin alphabet was not enough to make sense of foreign words. So I asked my father to teach me English – I was 10 years old that time and attending a school for the deaf where foreign language classes were not offered. The hardest part in learning English was pronunciation – even harder than learning grammar! I used to read each letter in Russian as they are written – there are a few common exceptions in pronunciation that are easy to remember. English has their own pronunciation rules which are more complicated to me than Russian. I remember the first sentence that I was trying to pronounce: “This is a book.” We don’t have “th” in Russian and it was weird for me to say “z” in the end of a word because all Russian words have voiceless consonants in the end. I was building English vocabulary slowly. It was not until I was 11 years old when I was transferred to a regular school that I started taking formal English classes which really thrilled me! I could not understand what teachers were saying in classes, so I learned English mostly by reading a textbook and asking my teacher and father questions. In terms of pronunciation, it really helped me that all textbooks and dictionaries had phonetic transcriptions – especially when I could not hear teachers. Hearing aids were of little use to me and I did not get a cochlear implant until I was in college. A year later, I started learning French as a second foreign language in school which also made me feel excited. As with English, I learned French by reading a textbook, following phonetic transcriptions, and asking for feedback. I took French classes for 4 years and sadly did not get to become fluent due to not enough practice. I continued learning English and started taking advanced classes in 8th grade. Around that time my father happened to learn about TV captioning and bought a captioning decoder which really helped me with improving my English and also gave me full access to TV as a deaf person. A funny thing is that I started learning British English and got confused when moving here to the States and wondering why there is no “u” in “colour” or why “apartment” is used instead of “flat” or “student” is used instead of “pupil”. I was explained about differences between British and American English. Also, pronunciation is different – I did not realize until later that I still say “car” and some other words in British English. When attending college, I worked with a speech therapist to reduce my Russian accent. My language learning didn’t stop with English or French. I also studied German for a semester in college and it was my first time having communication access in classes. A sign language interpreter was assigned to me – he also knew German and showed me some additional fingerspelling to indicate letters that have an umlaut. He and the professor gave me feedback on German pronunciation. I remember a funny incident when doing homework to write a paragraph or two in German and being told by a professor that I did it wrong because I was writing in Dutch, not German. It happened because I used a Dutch-English dictionary in a library without realizing that I confused “Deutsch” with “Dutch”. After college I learned a bit of Japanese as I was working for Japanese people and also took Japanese karate classes that required to know some Japanese words in order to pass tests for belt promotion. And lately I have been learning Chinese and Spanish on and off. I also learned sign languages – Russian Sign Language when I was 7 years old attending a school for the deaf in Russia and American Sign Language when I was 18 years old attending an American university that has a large population of deaf students. While I’m not fluent in cued speech, it’s easier and more efficient for me to watch people cueing for taking notes of how to pronounce words in English or other languages than to check a dictionary every time for phonetic description. 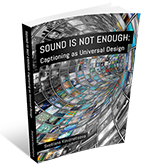 Verbatim captioning does provide me full access to aural information in the same language and sign language does facilitate my oral communication, but cued speech gives additional nuances of spoken languages. For example, when I’m being told that a speaker has a heavy accent – cued speech would have given me more access than captioning or sign language. I’m glad that my deafness did not prevent me from becoming fluent in English or learning foreign languages. It opened many doors to me. Little did I know that English would become part of my daily life. It was not easy for me to master English and there were many times when I was about to give up and I had to bite the bullet. I did not foresee attending American universities, working in American organizations, and socializing with English speakers. So it makes me wonder sometimes where I would have been if I did not take an interest in learning foreign languages. I still speak Russian at home and with other Russian speakers and enjoy using sign language with native and fluent signers. As a deaf person, I would encourage anyone interested in mastering foreign languages to go for it and not to give up. 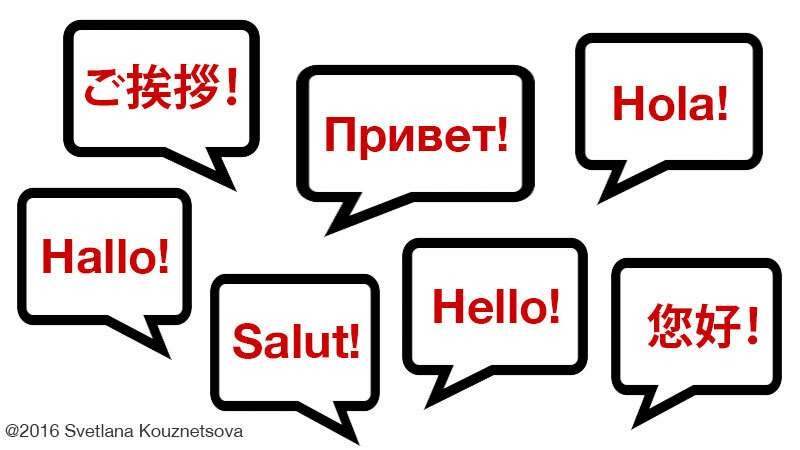 chinese, cued speech, deaf, english, foreign language, french, german, hard of hearing, japanese, russian, sign language, spanish. My 18th “Hearing” Birthday with a Cochlear Implant Deaf Education – School for the Deaf or Regular School?